It is a soft, metallic to bright silver luster, can be cut with knife and easily machined without sparking. 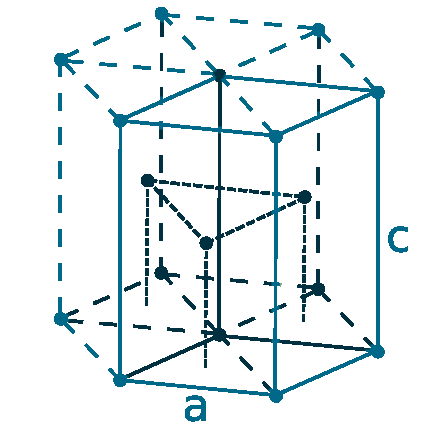 It is very stable in air, but it reacts readily with oxygen and water and dissolves in mineral acids. Dysprosium fluoride, or dysprosium chloride can be reduced by using either Calcium or Lithium. It is used in alloys with special stainless steels for neodymium-based magnets, Because it can resist to demagnetize at high temperature. These magnets are used in wind turbines, electrical vehicles etc., so demand of dysprosiums is growing rapidly. 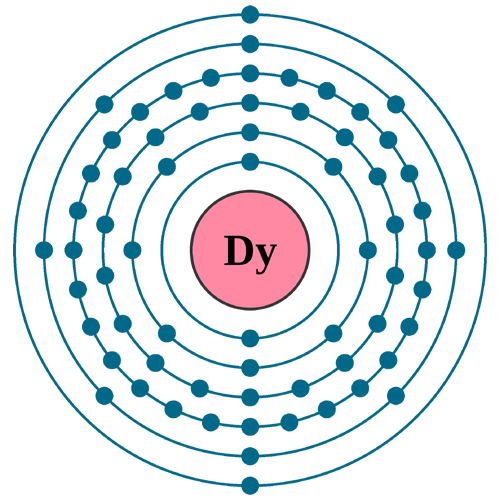 Dysprosium oxide-nickel cement (composition of ceramic and metal) used in cooling nuclear reactor control rods. This cement can readily absorbs neutrons without swelling or contracting When neutrons bombarded for long periods. 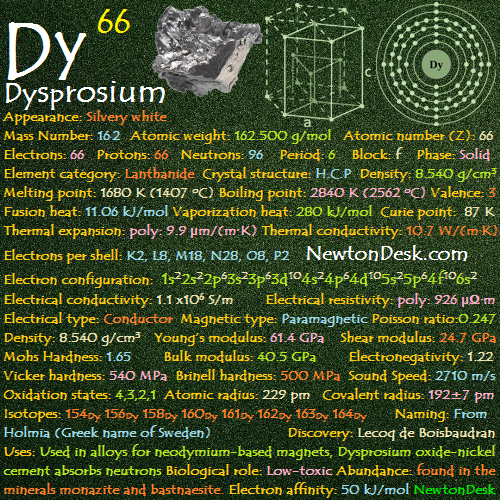 Dysprosiums is also used in making laser materials, By combination with vanadium and other rare earths. Dysprosium iodide is best known use in halide discharge lamps to get very intense white light. Dysprosium-cadmium chalcogenides is a sources of infrared radiation, which is used for studying chemical reactions. Like many other Lanthanides, It is found in the minerals monazite and bastnaesite. It can also found in smaller quantities in some other minerals such as fergusonite and xenotime. 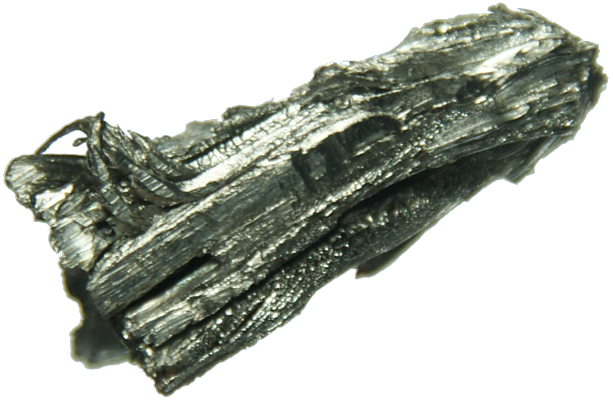 Dysprosium can be extracted by ion exchange and solvent extraction. Annual world production is around 100 tons.